“All I Have” show in Las Vegas and posted an impressive muscle photo on Instagram to celebrate the completion of 12 out of 15 shows. 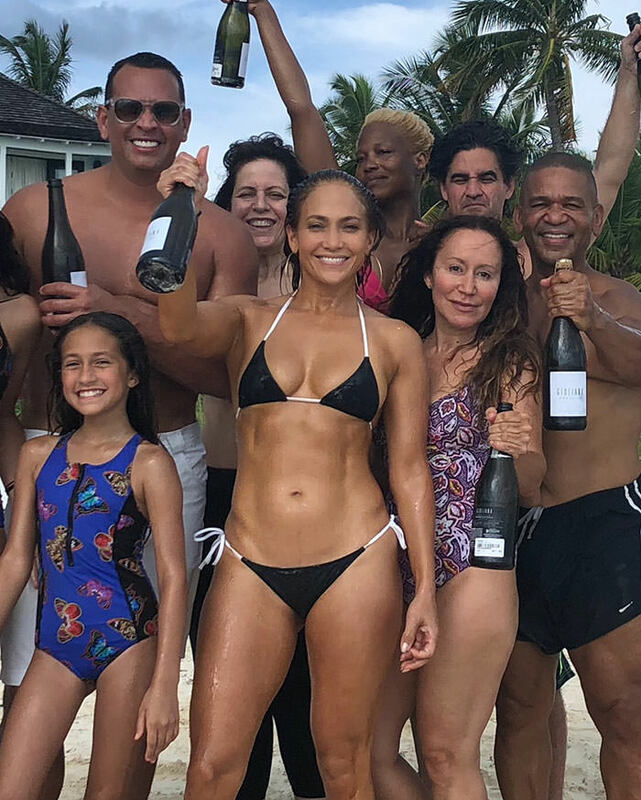 “I made a promise to myself that instead of letting it wear me down I would be even stronger at the end of it…I will work out and be in the best shape of my life,” she wrote in the caption and well it’s clear to see she’s a woman of her word. The two time Grammy nominee is fastidious with her work-outs and likes to mix things up between weight training and sculpting. 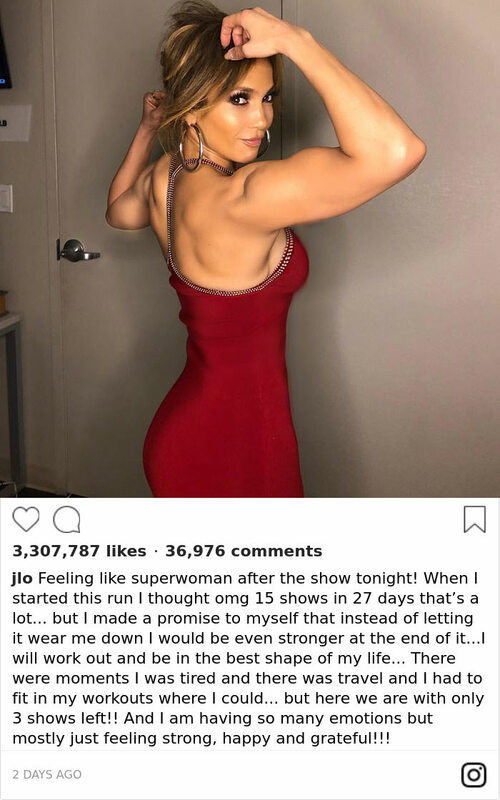 Lopez added she was “Feeling life superwoman after the show tonight!” and it’s possible she’s the fitness hero we all needed. Scroll down below to see the stunning celeb’s muscle pic! Trainer David Kirsch told Allure the star likes high intensity work-outs and keeping the variety up. You go girl!